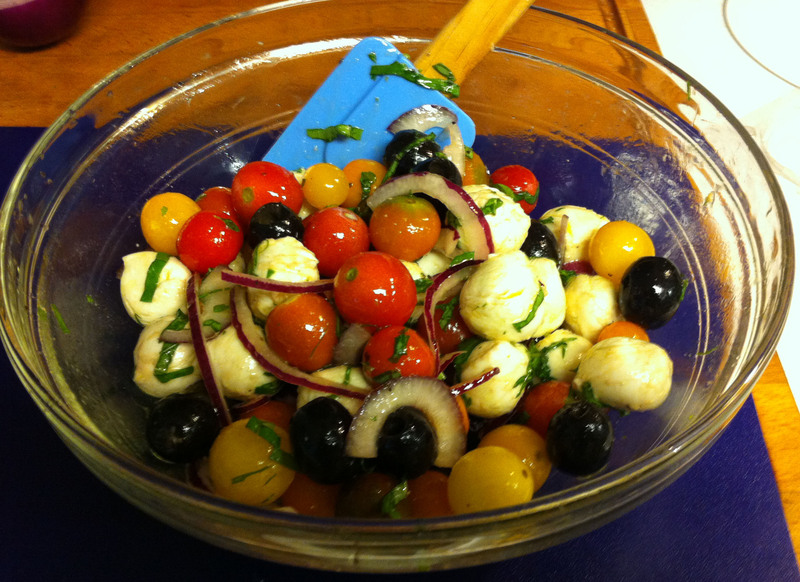 I had bought some Ciliegine Fresh Mozzarella—one inch balls of cheese—for my Italian Salad Bar. In the rush to get out the door to deliver it, I forgot to take them out of the refrigerator. 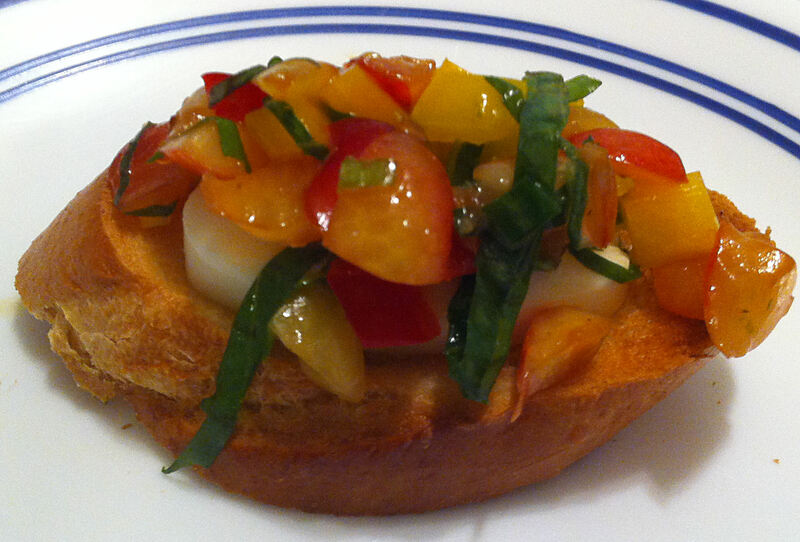 Trying to think what to use them for, I remembered that caprese salad is one of Jan’s favorites. 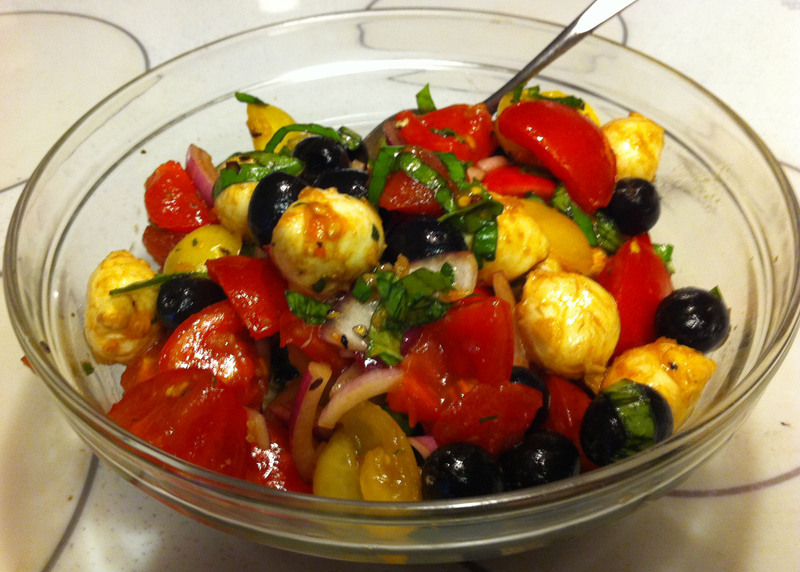 Jan likes caprese salad, which is tomatoes, mozzarella, onion, olives and basil in a light vinaigrette. Usually I go to La Villa, a very good Italian deli in Willow Glen and pay through the nose for a very small portion. 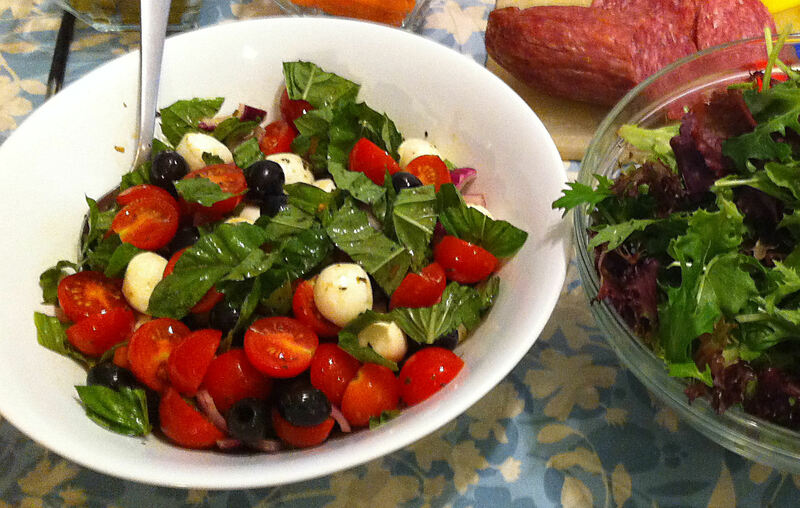 While La Villa makes a good salad, I decided that I could make it cheaper and fresher.